MY PHOTOGRAPHY KIT & SETUP. 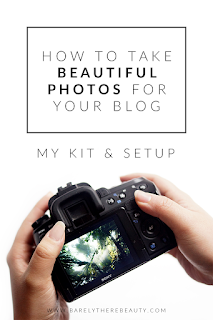 It's undeniable that I'm a closet photography geek, and I'm often asked about the equipment I use to take my blog photos. I've done a couple of photography posts in the past, which you can find here and here should you so wish, and I'll be turning this into a series to address the many aspects blog photography covers, but today I'm talking gadgetry - from my setup, to my favourite camera accessories, to the little must-have accessories that makes taking my photos so very much easier. I just wanted to give a quick nod to my setup. I generally take my photos next to a set a french doors which open out onto the conservatory, although I tend to roam around the house finding the light which could lead me to underneath the skylights, or in our bedroom for example. My white backgrounds, the backdrop to most of my flatlays, are nothing more than some foamcore laid on the ground, or the world's most inexpensive table (My food photography setup, like here, is very much different so let me know if you'd like some info on that in another post). I do use reflectors to bounce light - I think they're great if your light source comes in from one direction like mine, and this one is really versatile. 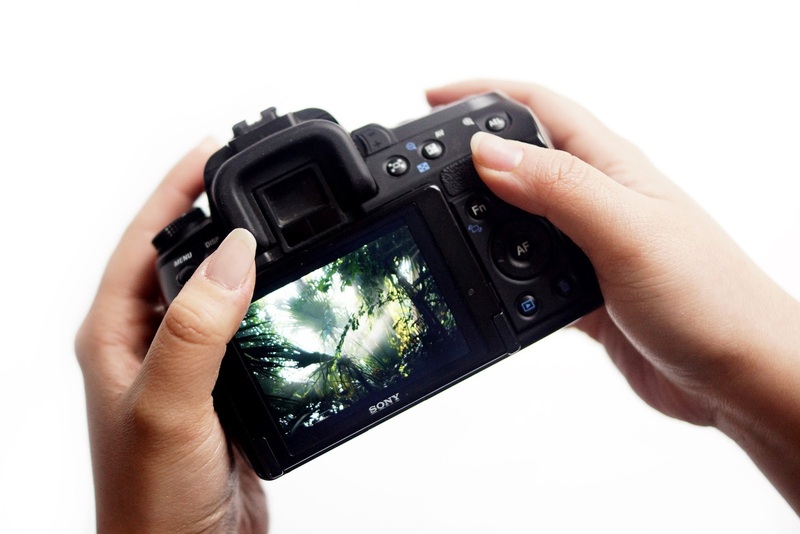 I get asked this question in particular so frequently so I hope this little write up helps somewhat even though unfortunately, I use a discontinued Sony SLR which I've had for several years. I am well informed however that the Canon 700d and Sony A58 are incredibly comparable alternatives. Whilst everyone automatically gravitates towards Canon and Nikon, I think Sony make some really excellent cameras that offer surpreme quality, control, functions and value - not to mention that the official lenses and accessories are often less expensive. I'd thoroughly recommend not overlooking them when making your decisions, having used their photography equipment for years I really love their stuff - and I think in due course I'd love to step up to one of their full-frame mirrorless numbers! I used solely the 18-55m kit lens for the longest time, which is a great all-rounder lens - I still use it for my flatlay photography and for scenery, as it's pretty versatile when you're out and about. I've now got a macro lens in the SAL35F18 - a gift from F, and an A mount lens that will fit the Sony A58 mentioned above. This little beauty is what I use to get super close-up shots, it focuses nicely down to f1.8 and produces photos with both clarity and smooth defocusing. Whilst I'm always adjusting the settings to suit my lighting conditions (or distinct lack of), I'll generally stay around ISO 100-300, 1/125 - 1/250 shutter speed and f2.2-2.8. It's also worth having a look at Sigma and Tamron lenses too, regardless of which body you have, as they're great quality and you can sometimes find yourself a bargain. For on-the-fly shoots, I rely on both my iPhone 6S (128GB was absolutely worth the extra pennies!) and Sony RX100ii compact camera, the latter of which is an exceptional little pocket rocket. Whilst not an SLR, it takes really special photographs, and it's size and weight are a huge benefit. I mentioned in a previous tips post of the importance of a tripod in low lighting to stabilise your shot and prevent blur. There are a wide range available, at all price points. I've used this basic and inexpensive tripod for years and it's served me well, especially for the price, with a firm base with rubberised feet and a little podium for your camera. I'm looking to upgrade to perhaps this Manfrotto or a Benbo in the near future so do let me know if you've any tripod recommendations! To hold my photos, I use this SD card as I save in both RAW and jpeg, which takes up a lot of space! One little 'good practise' I try and upkeep is backing up my photographs, for which I use my 128GB drive, as it's so teeny tiny and portable, although I've recently found these little flashdrives, compatible with the Apple iPhone/iPad lightning connection so you can free space on your phone and transfer quickly and easily between gadgets - a really useful little piece for when I'm taking photos on my phone. Another little accessory that I love is my SD card case - a waterproof outer with little slots to hold your cards. I've never known where to carry or store my cards before stumbling upon this so it's possibly one of the best £10 I've spent on photography yet. If you're new to photography or on a budget, I'd really recommend checking out Neewer if you haven't already - they have a whole host of accessories and add ons and lighting bits and bobs at a really affordable price level. Great post! I'm always so intrigued by your photography posts. I wish there was an actual photo of the setup as well. I wouldn't mind seeing those French doors and foamcore! I'm wanting to get a mini tripod for closeup photos. I do have a larger one borrowed, but I find it too big and bulky for closeup shots. Usually I take my photos with free hand, I find it the most convenient when I need to adjust an angle. Like you, I don't use a Canon/Fuji either since I'd have broken wrists at the sheer weight of it by now. I mean, of course I had compromise *some* quality but I think my Fuji holds up pretty well too. You're basically queen of photography setup though /bows/! I hate doing arranged shots because I'm just too impatient and hate arranging things hahaha. I'm much better at outdoor/scenery photos, and it feels more ~natural~ to me to adapt to whatever the condition is outdoors then prepping indoors, if that makes sense? I seldom use a tripod - again with the lack of space and hassle to load/unload but when I go into more 'posed' photos I'll break mine out again! 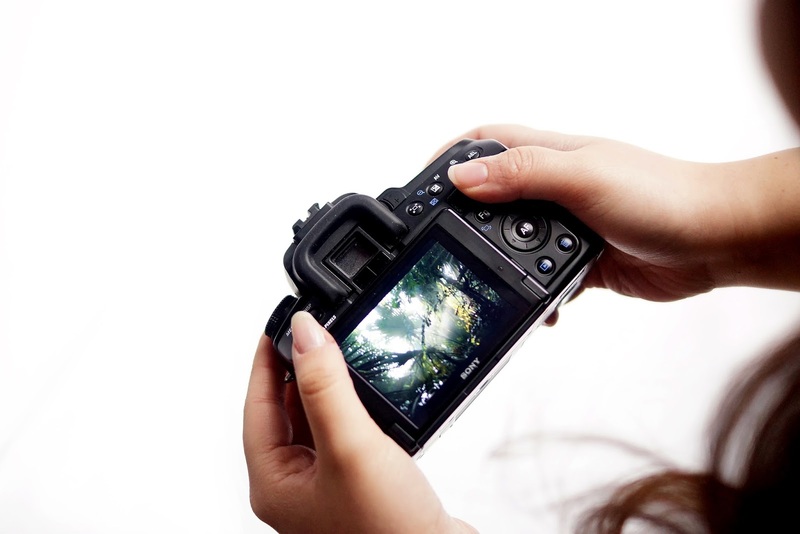 I am currently looking into buying a camera so this post was so helpful! Thank you! 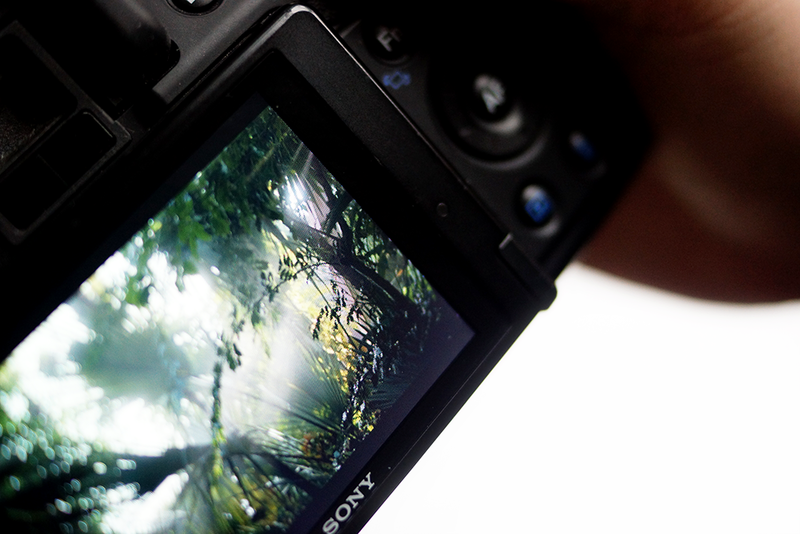 I love my Sony NEX5! Which unfortuantly takes E-mount lens :( But I wouldn't want another camera right now! Great post and I would love to see your set up more! I really need to invest in another tripod for photos. I have one I use for my videos, but it's too much of a pain to take down my video setup each time, so I have it left up in my basement. When i first started blogging I was using my Ipad and it served me well for a long time. I definitely improved my photo taking skills on just that one device. Then I finally got a new phone, the oppo and the camera is so much better so i've been so happy because it takes clear photos and it works with natural lighting quite well. I do hope to one day get a proper camera and lenses. At the moment i am happy with my phone and it's serving me well and just so convenient. Your photographs are so inspiring and also are some of my top favourites both on Instagram and compared to other blogs (including mine heh). I love the quality and I also think that good lighting is key!